In a nod to the classic movie Night of the Living Dead, director Frank Darabont gives a very human touch to his upcoming AMC series based on the popular graphic novel. In the beginning was Night of the Living Dead, the 1968 granddaddy of modern zombie movies that spawned a generation of zombie flicks and followers. On Halloween, two of that movie’s more ardent fans –- writer/director Frank Darabont and producer Gale Anne Hurd –- will unleash their take on the genre in AMC’s The Walking Dead, a thriller series based on the Eisner Award-winning comic book series by Robert Kirkman. 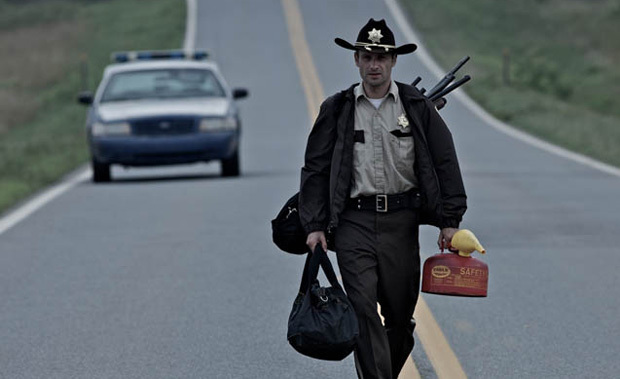 The story follows a group of survivors, lead by police officer Rick Grimes (Andrew Lincoln), who band together in the midst of a zombie apocalypse. The show’s first full scenes will debut during an Oct. 10 panel at the New York Comic-Con. 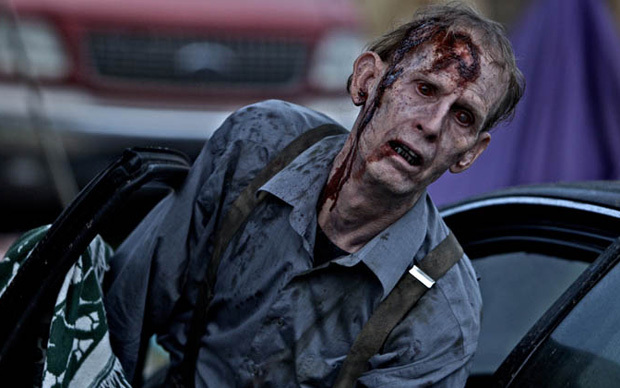 For the look of the zombies, Darabont tapped Oscar-winning special effects artist (and zombie specialist) Gregory Nicotero to amplify the comic illustrations’ gaunt, drawn-out faces. And when shooting, he opted for film over video. From the beginning, Darabont and Kirkman agreed that television, rather than film, would enable a deeper exploration of characters and storylines. The series languished in development at NBC, where Darabont had an overall deal, until he approached Hurd last year. A longtime friend, and a producer on James Cameron movies such as The Terminator, Aliens, and T2: Judgment Day, Hurd also happens to be a zombie enthusiast. “From the very first time I saw Night of the Living Dead, I was hooked!” she laughs. They took Walking Dead to AMC — the cable network behind Mad Men and Breaking Bad — largely because of its popular October Fearfest marathon of horror films.